Highland Council chief executive Donna Manson speaks of the proposals. Picture by Sandy McCook. Education and leisure look set to be the main casualties of Highland Council’s proposed budget cuts, it has emerged. The council faces a gap in funding of £27.9m in 2019/20 and £32.4m over the following two years, and has reserves at a historic low. A saving of £3.5m over the next three years is proposed from a shake-up of all school staffing allocations and absence management. ‘Transformational change’ of support for pupils with special needs will save the council £5.9m over the next three years. Council leader Margaret Davidson said during public engagement sessions, communities had pressed the council to become more commercial. The council will push on with its consultation over introducing the Transient Visitor Levy to the Highlands, describing its establishment as a priority. The local authority will also implement a number of price rises, including increasing the price of school meals by 5p. Street lights will be dimmed between midnight and 6am, saving £20,000 over three years. Through route efficiencies the bin lorry fleet will be reduced by one vehicle and operator in 2020-22. Eden Court will also lose a further 10% of its funding, £30,000, in the year 2021/22. Increases in fees and charges in community services will raise more than £2m over the next three years. To tackle the running sore of road maintenance, the Administration will add a recurring £1.5m to the roads budget. 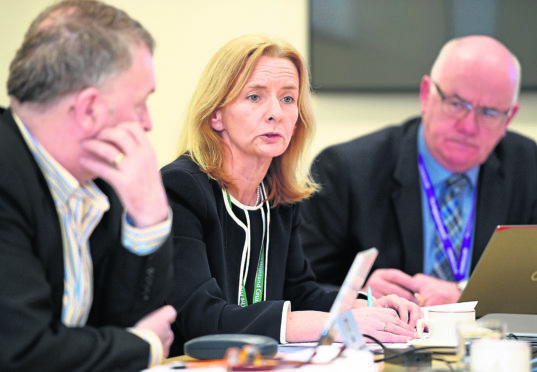 A complete culture change is being implemented in the local authority to close the funding gap, chief executive Donna Manson said. Mrs Manson said council staff will be in the driving seat leading efficiency savings and contributing ideas for income generation. Mrs Manson said a new Change Fund of £2.5m will be set up to enable council staff and partners to look at improved ways of doing things. Despite the budget gap, the Administration emphasised that there would be no compulsory or voluntary redundancies, describing it as a “budget for jobs”. GMB union called the council’s intention to avoid redundancies into question.